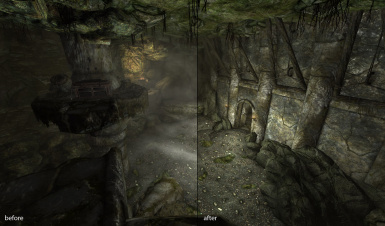 To avoid confusion, there is another mod called "Remove Ambient Interior Fog". They do different things. 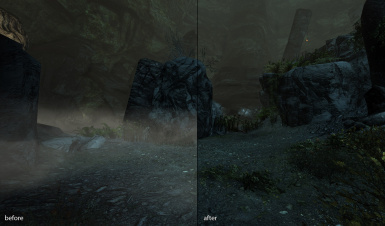 This mod removes the 3D "dust" that floats around, while the other mod removes the depth fog of the whole scene that causes all distant objects to be less visible. Several people have commented saying they are getting better performance in specific areas, so if you notice unusual performance drops in the presence of fog, this might help you. 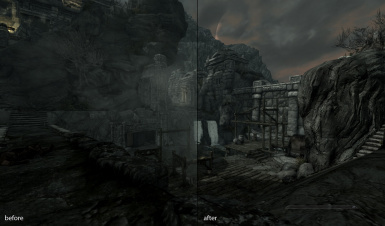 Copy the downloaded meshes folder into the Skyrim Data folder. 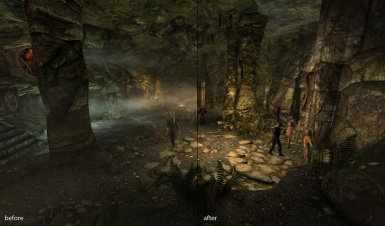 This is usually found in a place like "C:\Program Files\Bethesda Softworks\The Elder Scrolls V Skyrim".